It is the nature of large commercial trucks, that when they crash, they cause tremendous damage. This includes damage to other vehicles, and even buildings, but worst of all, truck accidents cause severe and fatal injuries. It is very common for survivors of truck accidents to live with permanent disability, pain, and secondary health problems. 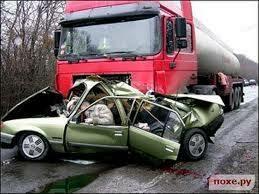 If you have been injured in a truck accident, our truck accident attorneys can help. The immediate costs of severe injuries are usually presented quite clearly in your medical bills, lost income, and other existing expenses. The long-term expenses are more elusive and difficult to determine. While your immediate costs can run in the tens or even hundreds of thousands of dollars for medical care alone, the life-time cost of severe injuries can dwarf the cost of your initial care. The long-term outcome of severe injury can be difficult to predict, as well. While we encourage you to hold out hope for a full recovery, we also know that permanent disability and the need for life-long medical care is a very real possibility with many types of injury. Our truck accident attorneys will help you get the compensation which can pay for your real long-term medical expenses. Compensation for your truck accident injuries should pay for more than just the most basic care. It should give you access to the latest, most advanced treatments which give you the highest possibility of being restored to your pre-accident level of function, comfort, and health. Your opponents, such as the trucking company and its insurance company, will try to underplay your medical needs. When you work with our truck accident attorneys, and have incurred severe injuries, your personal litigation team will include medical experts who help explain and prove to the court just how serious and expensive your injuries truly are. Anyone who spends time in a big city know that cars are far from the only form of transportation. People moving around in all sorts of ways must share the compressed space that exists in the city. As a result of this crowded reality, accidents occur every day that necessitate the help of experienced injury lawyers. Below is a look at some of the different types of accidents that can occur and the dangers presented in each. Truckers have a difficult job, as they must navigate enormous vehicles that can weigh up to 80,000 pounds. This is especially difficult in a busy large city, where traffic and general congestion only add to this difficulty. When trucking accidents occur, they often leave a wake of devastation behind given the massive size and force generated by these vehicles. Bus accidents occur with alarming regularity, and these accidents can include vehicles that include city buses, charter buses that are common with tourists and school buses. Much like large trucks, buses are enormous vehicles that are difficult to maneuver at close range, which means that collisions involving these vehicles tend to result in multiple injuries. Motorcycles are generally a good option, especially during the warmer months. They offer economic efficiency, easier parking and increased maneuverability through traffic. However, motorcyclists are also completely exposed to the elements around them, which means that when a crash occurs there is little to protect them from serious injuries. Bicyclists are also a common sight around the city, and those who use this mode of transportation often make this choice for many of the same reasons as those who drive motorcycles. However, bicyclists are even more vulnerable to serious injuries than motorcyclists. They are just as exposed to injury, but they are not able to avoid collisions given their lack of acceleration capabilities. Almost any visitor to the city will marvel at the number of people out walking the streets at any given time. While there is generally safety in numbers, packs of people crossing busy streets is a common sight, and those who do so face the possibility of being seriously harmed by larger, faster and sturdier vehicles at any given time. Clearly, the number of ways in which someone can be injured by a traffic collision is high. If you or someone you love has been injured in any way by someone else, you need the help of experienced auto accident lawyers who understand what it takes to successfully fight for justice for those who need the help. Contact us today to schedule a free initial consultation. Have you ever thought about what would happen if you were in an accident? One of the most devastating experiences is to have a loved one injured or killed in an automobile accident. Life changes in an instant. The minutes and hours following the dreaded phone call can be chaotic, as you rush to a hospital emergency room. There may be paperwork to fill out, questions about medical history information and other emergency contacts to call. Then there’s the agonizing wait to learn if your loved one’s injuries can be stabilized and find out the prognosis. Although the family and friends of an accident victim may feel helpless, their presence at the hospital is important. The information they give can help physicians make informed medical decisions to provide the best possible care to the victim. In the tragic event that the accident victim was fatally wounded, having the chance to say goodbye might not lessen the grief, but it can help loved ones begin to get closure. In too many cases, though, authorities have no immediate way to know who to contact after an accident. Though they may be able to learn a victim’s identity by checking a driver’s license or automobile license plates, they don’t know who the victim would want notified in the case of a collision. A new initiative by the New Jersey Motor Vehicle Commission, known as Sara’s Law, aims to change this. Sara Dubinin, for whom the law was named, sustained severe injuries in a tragic September 2007 automobile accident. The 19-year-old passed away before her family could be reached, according to The Philadelphia Inquirer, and the grief prompted Sara’s mother to make sure other families wouldn’t have to experience the same heartbreak. Sara’s Law accomplishes two goals. It establishes a registry where New Jersey driver’s license and ID holders can submit emergency contact information so that authorities know who to contact in the event of a collision. Driver’s license and ID holders can register up to two contacts in the Emergency Next-of-Kin Registry, and they may modify the information at any time. The initiative also extends the eligibility for non-driver state-issued IDs to young people ages 14 through 17. These ID cards, previously only available to state residents that are at least 17 years old, can be used like a driver’s license for obtaining passports and other activities that require official identification. They can also be used as a point of identification when the individual turns the legal age and applies for a driver’s license. As part of Sara’s Law, these young ID holders can also submit contact information to the Emergency Next-of-Kin Registry in case of a car accident. After a serious automobile accident, time is crucial. Take this precaution so that authorities can help you if the worst should happen. If you or a loved one has been injured in a car accident, an experienced car accident attorney in NJ can help you get your life back on track. If you’ve been the victim of a personal injury or the loss of a family member to a wrongful death, hiring the right Personal Injury Attorney to represent you is essential. Personal injury victims throughout Texas have relied on our law firm for over thirty years. Our track record and experience is second to none. We have recovered millions of dollars for past clients and our law firm has won cases against some of the worlds largest corporations. Contact us immediately for a free consultation by calling us or complete the free case evaluation. The attorneys in our firm will answer all of your questions and help you understand the entire process. We will aggressively fight to get you the maximum compensation for your injuries. Victims of car accidents have the right to seek compensation for damages, lost wages, and medical expenses. 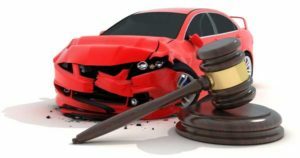 If you suffer from injuries sustained in the state of California, South Carolina or Tennessee because of a car wreck caused by another driver’s fault, then you may be able to receive compensation for your damages, losses, and/or injuries. If you or your child has suffered a pregnancy complication resulting in a birth defect, you should contact our birth injury attorneys for an immediate free case evaluation. Our experienced attorneys understand the complexities of a birth injury claim and will fight to help you maximize your settlement. Our in depth knowledge of construction accident litigation is second to none. A construction injury, accident or death lawsuit claim requires a trial attorney with the experience and financial resources to successfully win your case. Put our thirty years of experience to work for you and let us get you the justice and compensation you deserve. 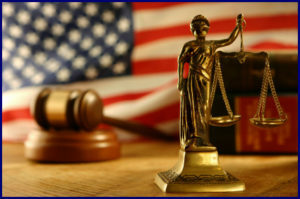 If a defective product has injured you or a loved one, our team of highly trained defective product lawyers will fight to protect your legal rights and help you hold the individuals, companies and manufacturers accountable for the unsafe products they market to the unsuspecting public. If you or a loved one suffered injuries or death because a defective drug, our defective drug lawyers are experienced in investigating and uncovering critical evidence when innocent victims are injured or killed by the medicines they unknowingly trust. Contact our office for a free consultation with a defective drug attorney to discuss your case. If you or a loved one has been the victim of medical malpractice, hiring an experienced medical malpractice lawyer is vital to obtaining the maximum settlement for your injuries. 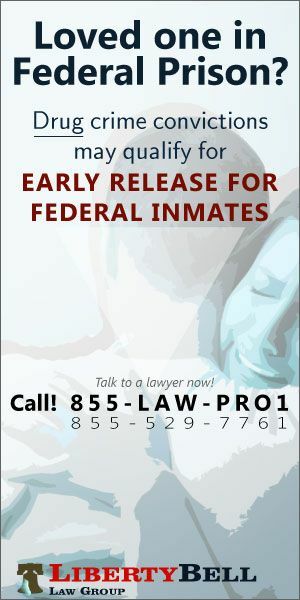 Contact our office for a free consultation and let us help you get the justice and compensation you deserve. Thousands of elderly Americans are abused each year in nursing homes and other facilities responsible for their care. Our nursing home negligence attorneys can help you get the justice and compensation that your loved one deserves. Contact our office for a confidential free consultation to discuss your case with one of our elder abuse attorneys. Victims of accidents, negligence, and personal injuries have the right to seek compensation for damages, lost wages, and medical expenses. Our Personal Injury Lawyers handle all types of personal injury cases throughout California and have recovered over 200 million dollars in personal injury verdicts and settlements. Contact our personal injury attorneys today for a free consultation. We have the legal know-how to apply, appeal, organize, and argue your Social Security benefits claim. If you were denied social security disability benefits contact our SSDI lawyers for a free consultation. We have the resources and experience to help you get the benefits you deserve. Victims of trucking injuries and semi truck accidents are entitled to compensation and in almost all cases the amount is significant. Our accident lawyers have recovered over 200 million dollars in personal injury verdicts and settlements in California alone. If you were injured in a truck accident, we’ll fight to get you the maximum compensation for your injuries. If you’re injured while at work or develop a job-related occupational disease, you may be eligible to receive workers compensation. Our attorneys can help you navigate the complex issues pertaining to workers compensation claims. 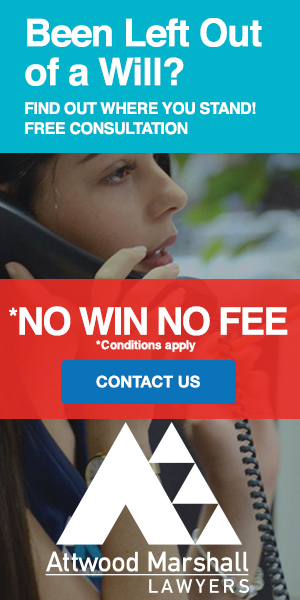 Contact our workers compensation lawyers today for a free consultation. If you suspect that you lost a loved one to wrongful death, call our office to speak with a wrongful death attorney who will evaluate your case for free. We have the resources to help you prove that the fatality was the result of another person or party’s negligence which is critical if you are going to win a wrongful death lawsuit. If you or a member of your family has been seriously injured, or you have lost a loved one to wrongful death, you may find yourself at a breaking point and unsure of where to turn for help. Let our lawyers help you focus on getting the money you deserve so you can focus on healing. Complete the form on this website to receive your FREE case evaluation. We don’t get paid unless you win your case.